Facebook has this feature where when you scroll through the timeline, the videos that come up are played automatically. That means your bandwidth is consumed on unnecessary things and if you are on a mobile, data is wasted. 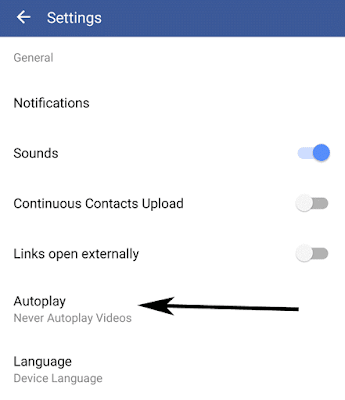 To disable the auto-playing videos on Facebook, you can use the app settings in your phone or you can make the necessary adjustments from your computer. 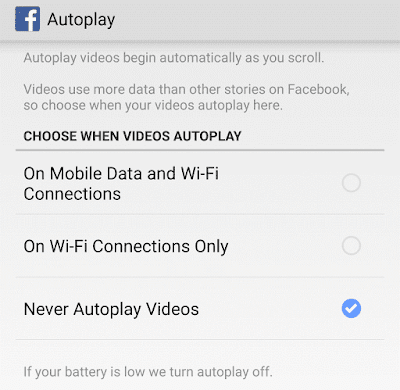 There are options to make the auto-play feature active on specific internet connections—Mobile Data and Wi-Fi versus just on Wi-Fi connections or you can simply turn it off. This specific connection type option is available in mobile apps only. For your desktop/laptop the settings are different and they apply only when you access the website through a computer. 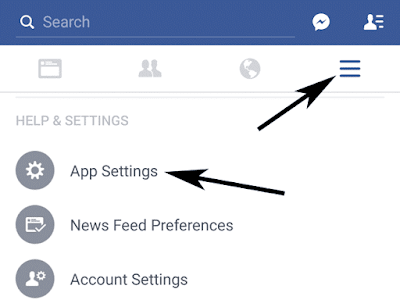 In your Facebook app, click on the menu button which is represented by the three horizontal lines. Under Help & Settings, tap on App Settings. Under General, tap on the option Autoplay. On Mobile Data and Wi-Fi Connections: This always plays the video as long as you have an internet connection. On Wi-Fi Connections Only: Only play when you are connected to Wi-Fi. Never Autoplay Videos: To turn it off completely. Open up Facebook.com and make sure that you are signed in. Click on the little drop down arrow on the top-right corner of the website content, to bring up options. Open the one that says Settings. Select the Videos option from the left, which is the last option. 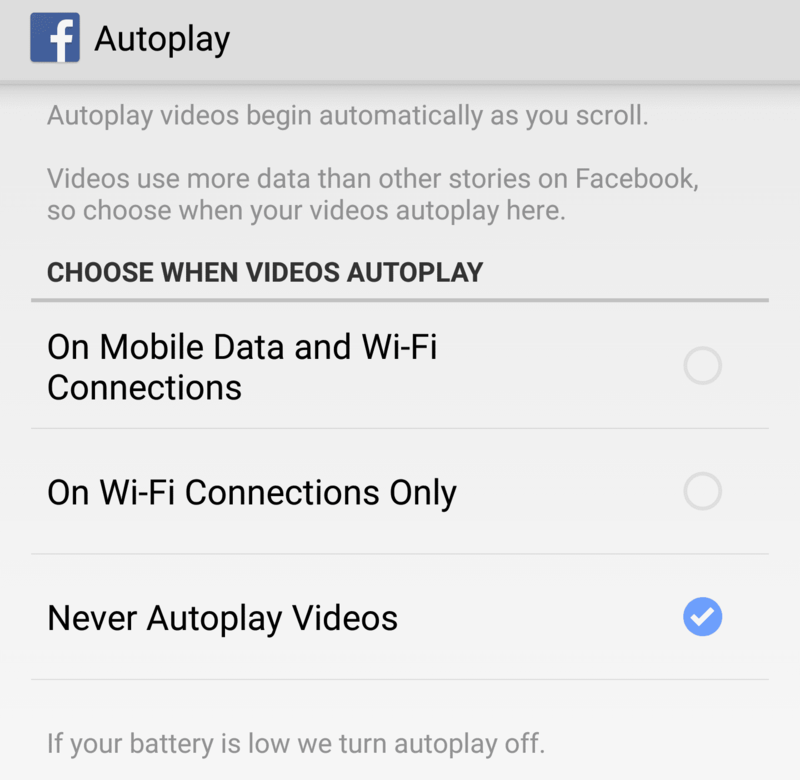 On the Auto-Play Videos option you can choose between Default, On and Off. You will want to switch to the option that says Off and the changes will be saved.